Over the years I’ve had many people wonder how I came up with my blog name, and ask the question “Why Freak Deluxe?” So I know this blog post is loooong over due! We’re gonna go back, waaaay back, back into tiiiime! If you know, you know; anyway I’m gonna take it back to the beginning as it’s the best place to start. I’ve always been a tall chick; it wasn’t that I was short or average height, then shot up “over night”. 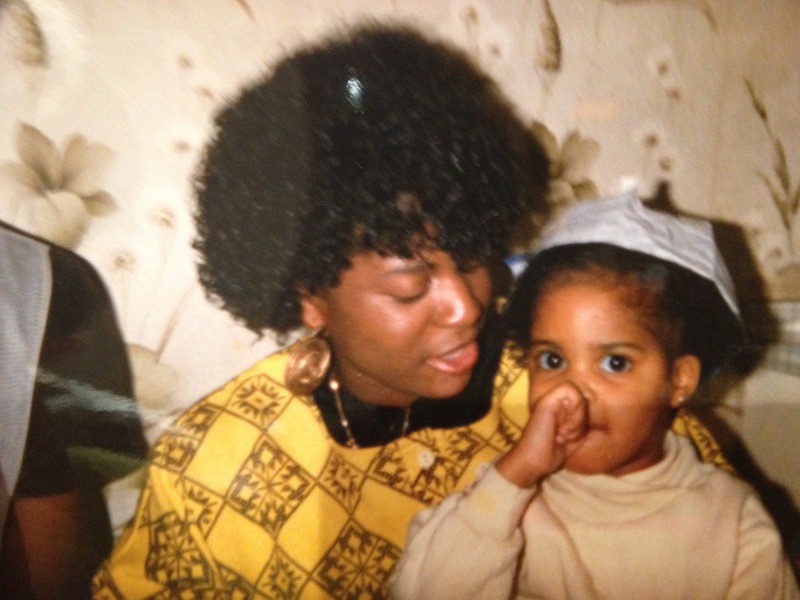 I was tall from early yo! 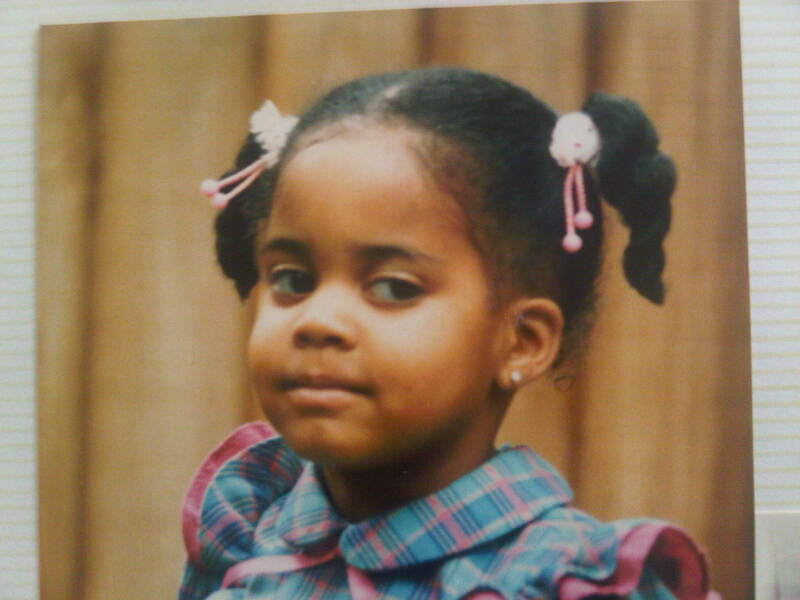 However, I wasn’t born 5’10”, but I was born with exceptionally big eyes – my mom said as a baby I used to scare her when I would look up and stare at her with my big eyes. Can you get your breath?! Absolute liberty! Insert (big) side eye. So from as far back as I can remember, people have always had something to comment on, whether it be, “Oh my god, look at her big (insert: beautiful) eyes! !” or “wow, she’s so tall isn’t she?!”. Worse still when I lost my baby fat and was skinny? It’s a real wonder I didn’t get a complex!! 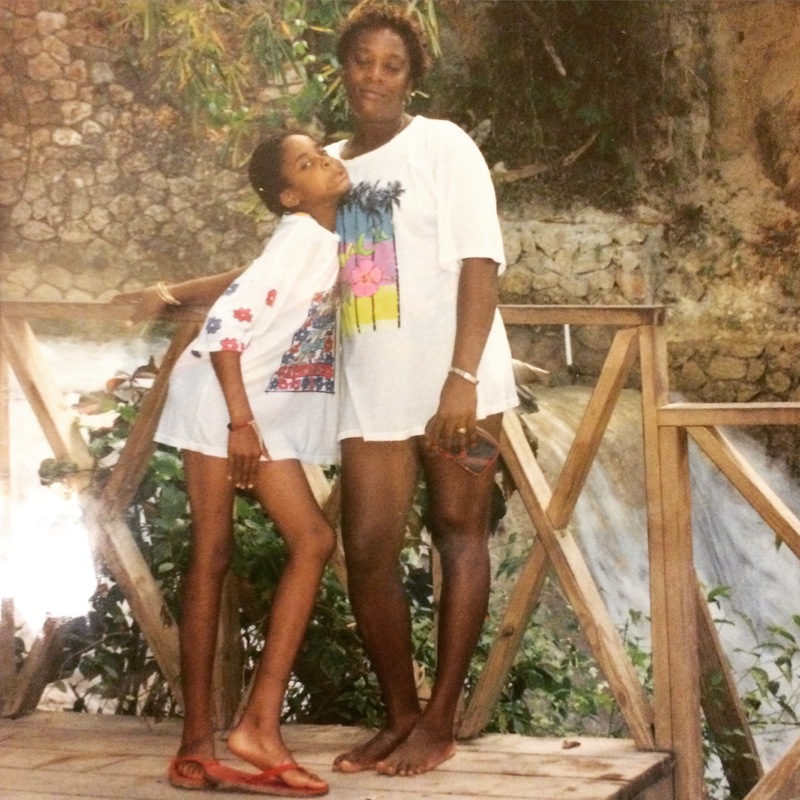 9yrs old at Dunns River Falls in Jamaica; posing with my aunty who’s 5’10” and quite frankly done with my model moves! 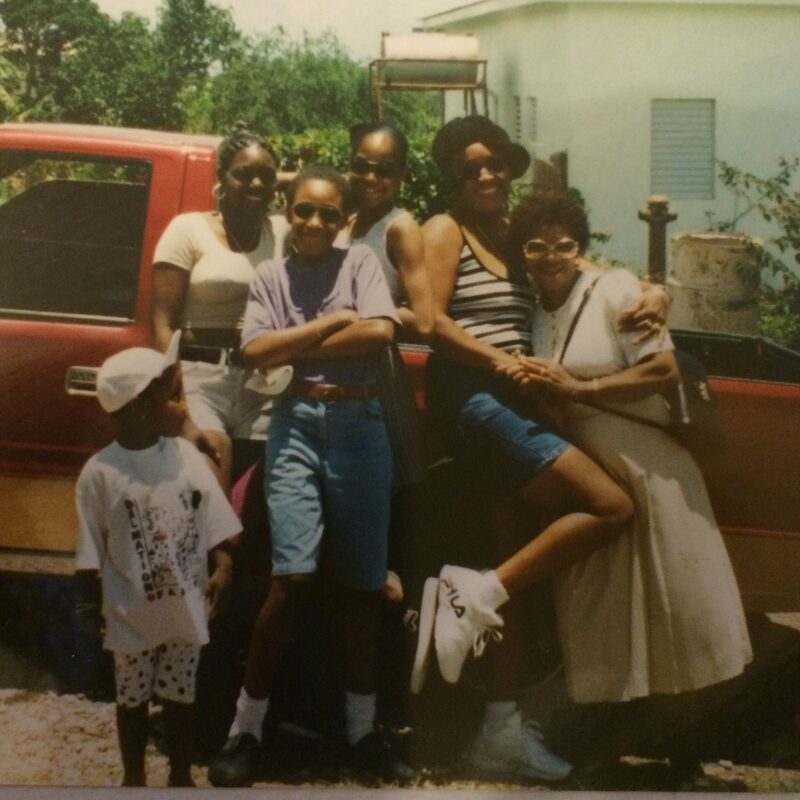 (Back middle) 11yrs old back in Jamaica, posing with the fam. My cousin in the purple tee is a year older than me. Look at my guns though! That’s from doing my own hair for a good couple of years at this point. I wanted a blog name that would reflect me, and who I am as a person, and the things I like. So I started of by listing buzzwords; a couple of those words were DIFFERENT and UNIQUE. These words came about because I like to approach things in a different way to others; I like to put a different spin on things. For instance, when I first started to design (say 2006), I designed a 50s style dress with a strapless bodice and boning, and added pockets to it. This instantly made it more accessible, and more comfortable for me to wear, as I’m lost without pockets. I then took it a step further and added a hood! Think halter neck with a big hood – I don’t know why I don’t have pictures of me in this style! Plenty of other people, but not me. I designed it, cut the pattern for it, sewed it, and wore it! Whoever saw it, loved it; I got invited to sell my designs at various expos, and feature my designs in fashion shows. I even got a few orders! I digress; basically, the buzzwords DIFFERENT and UNIQUE led me to the word FREAK – which I instantly loved. It resonated firstly because it’s provocative, and secondly because of what I said up there – the bit about me being a FREAK OF NATURE. It’s me! DELUXE is deluxe; I mean come on – elegant, luxurious, special, exclusive, splendid, rare, super!! Well if that’s not me…LMAO. Truth be told, I can’t remember how I came up with DELUXE, as in what buzzwords I started with, but FREAK DELUXE is what I came up with and it’s 100% what I am! How did you get your blog name/instagram handle/nickname? Leave a comment down below, let me know the scoop! So my blog name really just came from the name of my business. Style Me Derria. 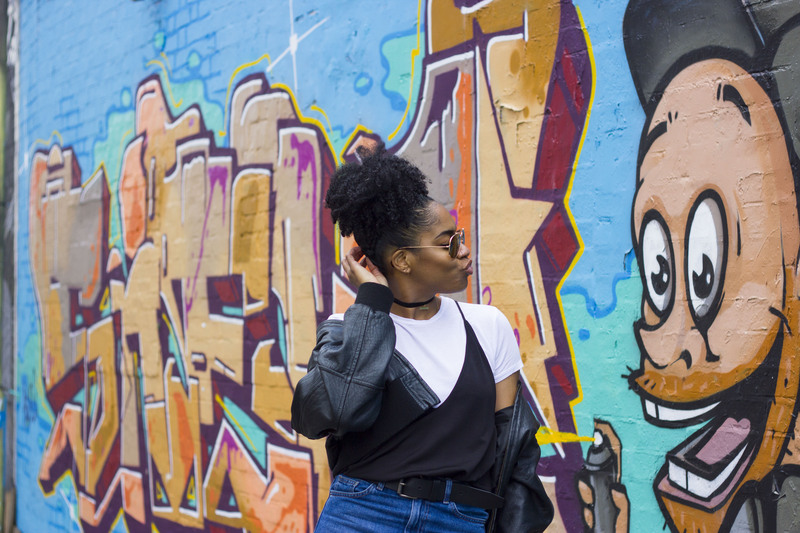 But my other blog Frugal Shopaholics.. it came from when me and my friend from college wanted to start a blog that focused on fashion, shopping and not paying full price and we came up with Frugal Shopaholics because we love to shop and get a good deal on EVERYTHING! My blog name just came to me in the car adter picking my kids up from school. I need something catchy that was mean and wanted to represent home. So I became The East on the West!